Dr. Manuel Baca is an experienced educator with professional experience within the state university and community college systems. He is Immediate Past President and former member of the California Community Colleges (CCC) Board of Governors. In addition, Baca has served on the Mt. San Antonio Community College Governing Board since 1999, having served as President of the Board four times. 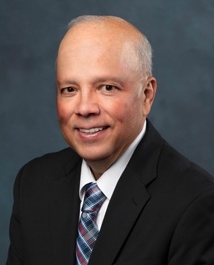 He has extensive teaching experience at Rio Hondo College where he has been Professor of Political Science & Management and served on the Executive Committee of the Academic Senate. Baca has also filled a variety of key administrative roles at Rio Hondo, including Interim President; Vice President of Student Services; Interim Dean of Arts, Business, and Technology, and other positions within student and academic services. He has been recognized as a Fellow of the College and Alumni of the Year. At the state level, in addition to his six years tenure on the Board of Governors, Baca served on the California Community Colleges System Strategic Plan Steering Committee (2005) and the Student Success Task Force (2011), which led to the formulation and passage of the Student Success Act of 2012. His additional state-level involvement includes that as a member of other state commissions and committees. Manuel Baca earned his undergraduate and graduate degrees at California State University, Fullerton. He earned a Ph.D. in Education from the University of Southern California (USC) and completed post-graduate work at the University of California, Los Angeles (UCLA). Baca has been very active as a member and/or supporter of numerous civic, educational and business organizations within the greater San Gabriel Valley. As a Marine Corps veteran, he has been actively involved in activities supporting military veterans. This includes having co-founded the annual Higher Education Veterans Summit coordinated by the CCC Chancellor’s Office.